Starting today, August 1st, 2010, it is my plan to update this blog and make an entry 3 days per week as we move through and experience a new and full school year. These entries will reflect my two major professional interests: School mathematics K-12 and School leadership. And occasionally I will offer my own insight about what works and doesn't seem to work as we learn together during the school year. At times I will post questions or ideas that I hope you might have the time to respond to - as I would love to hear from you. During the course of this school year, I will be writing and working on a new book for school leadership - and I will ask questions that might reveal your insight and thinking. I'm looking forward to the outcome of this year long blog. Thanks for taking the time to check in with me on the issues that will be of interest to you. Attached are the slides from a recent message on Teacher Inspiration at the summer CAMT Meeting in San Antonio,Texas Click here to view the slides. Looking forward to the discussions! I served as the Director of Mathematics and Science and as Superintendent at Adlai E. Stevenson HSD 125 in Illinois. I am an author for Houghton Mifflin Harcourt and Solution Tree Publishing. Our Mathematics In A PLC At Work professional development team provides support for inspirational teacher and leader development as well as overall K-12 mathematics program success. 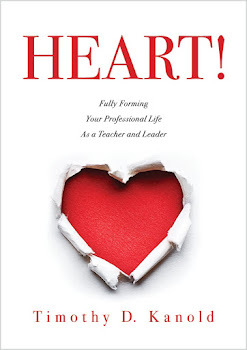 My current work involves writing and teaching about the HEART of our professional work as educators. This blog is dedicated to the improvement of K-12 school mathematics Teaching and Learning as well as the leadership growth and development of K-12 School educators and leaders. 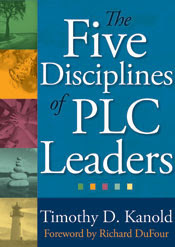 Primarily focused on ideas that support the growth of teacher and administrator learning teams and the ideals of professional learning communities - that understand the magnified impact on student learning caused by the meaningful and research affirmed work of collaborative teams as the engine that drives the PLC culture. NCTM Regional Meeting: The Art of Teaching! CCSS: Leaving the Front of the Classroom Behind! Embracing the Privilege of Another Season! Aim high: Beyond the Common Core! Growing Your Fixed Mindsets Mid-Year! Crossing The Teaching/Learning Divide Together! Our new high school Series! tkanold2012. Picture Window theme. Powered by Blogger.